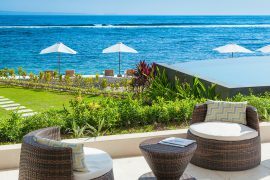 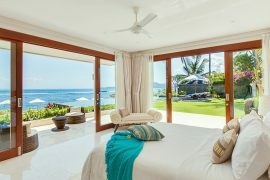 Welcome to Villa Tirta Nila, A luxury 4 bedrooms villa located absolutely beach front in east coast of Candidasa Village. 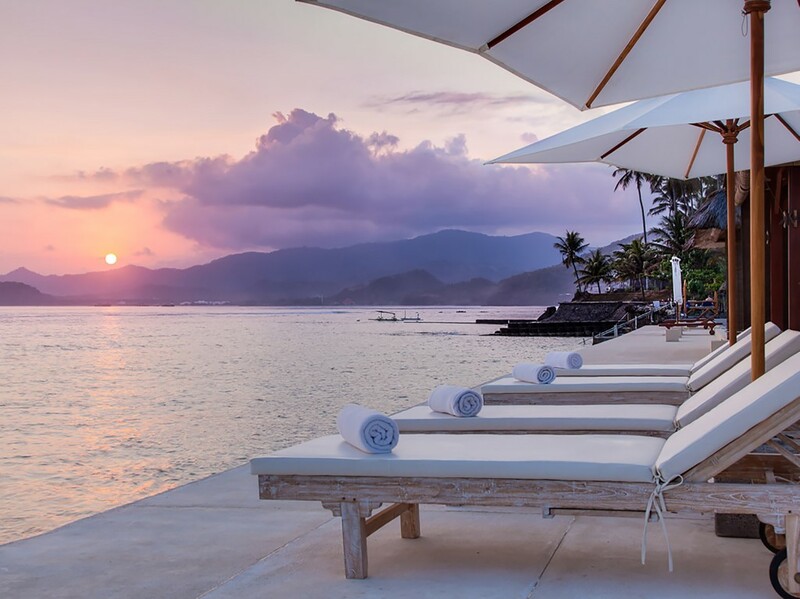 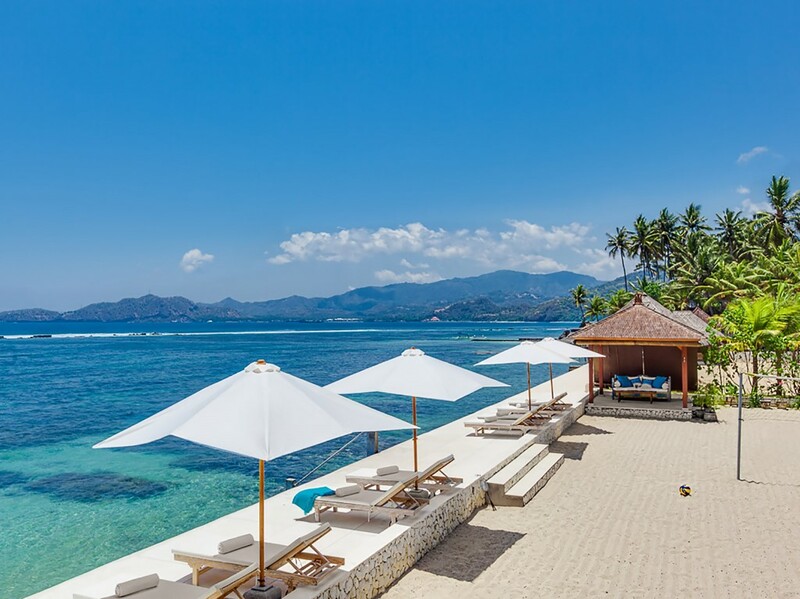 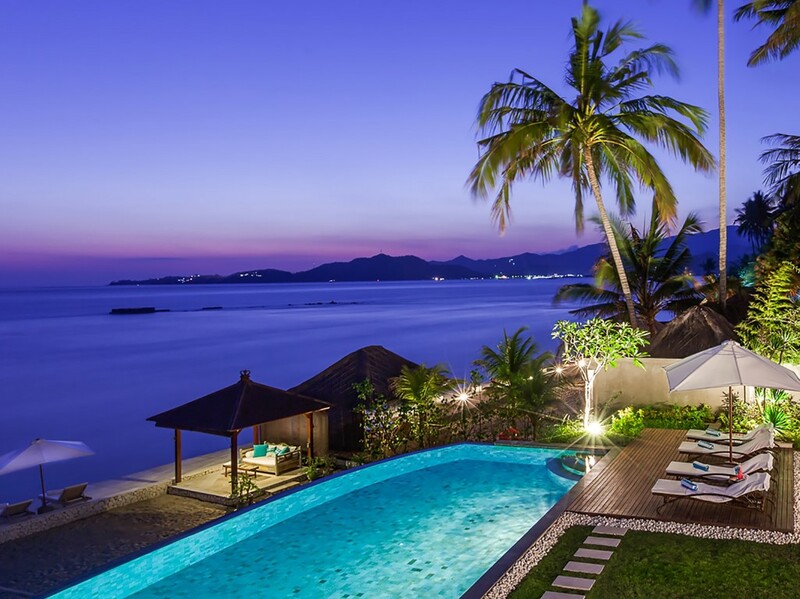 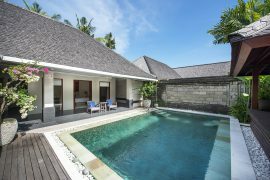 Words away from traffic jams, crowded beach style and other nightlife, Villa Tirta Nila is one of the different villa who can offer tranquility, peaceful , luxury treat and of course the memory of it. 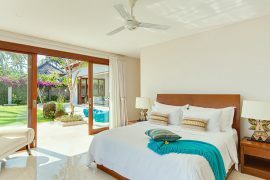 Discreet team from manager, housekeeping, butler and chef, we all here to take care of your every need from you step in the villa until your wave bye and most probably, after staying in the villa you will not want to stay in other villa, this is just precious villa wrapped nicely for you. 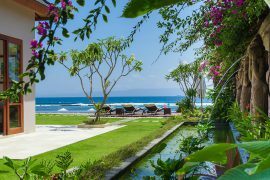 Located in quiet and tranquil area of Mendira Beach ; in a tiny village called Sengkidu and just 3 kilometers away from main center of Candidasa. 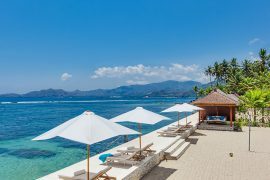 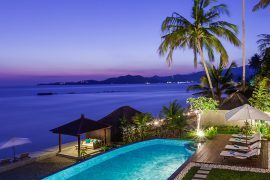 The villa Tirta Nila is safe for all gender and age to swimming or snorkeling while it just one kilometer away from restaurants, café’s shop for good Candidasa souvenirs. 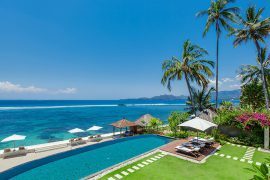 One destination for all activities you need. 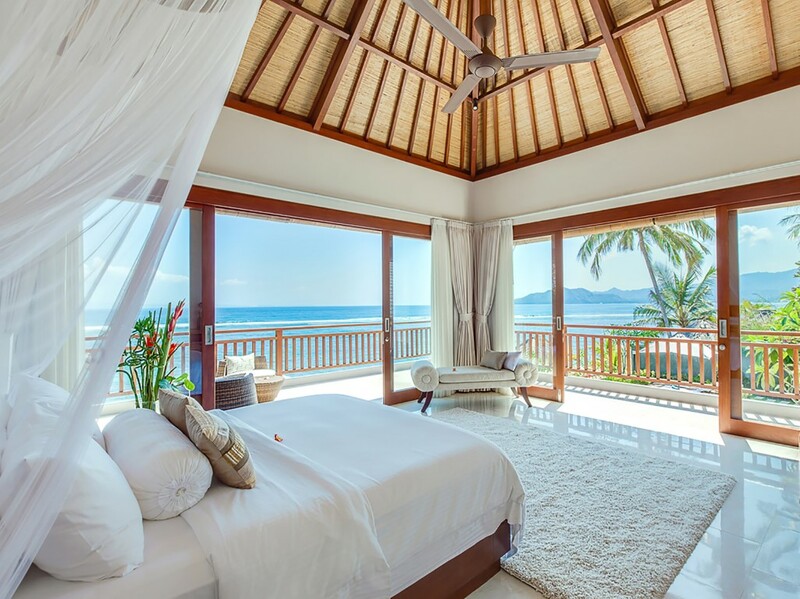 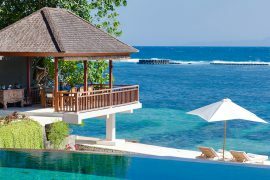 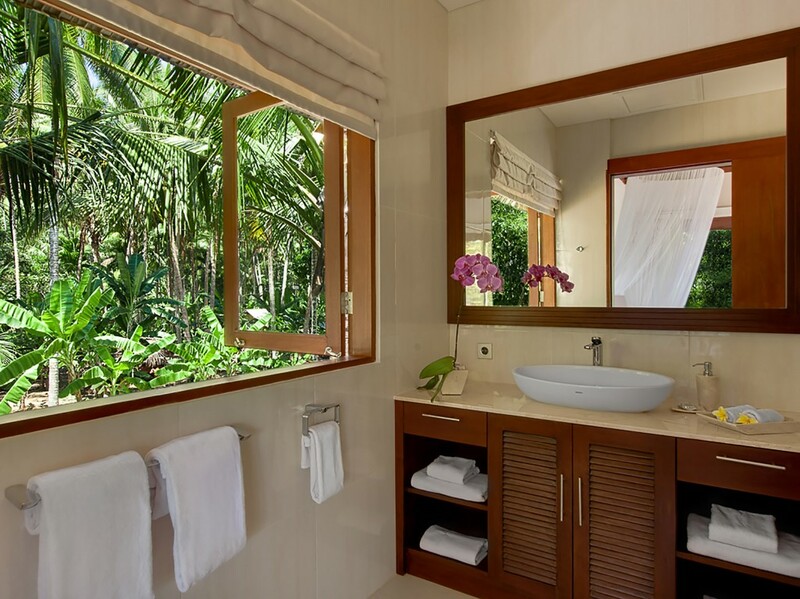 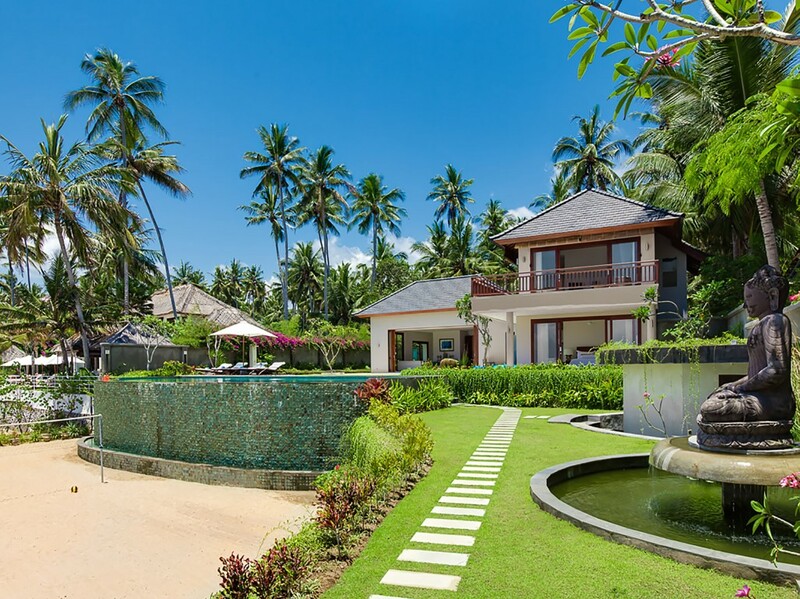 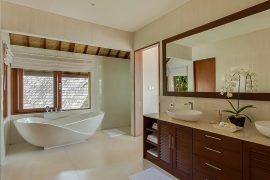 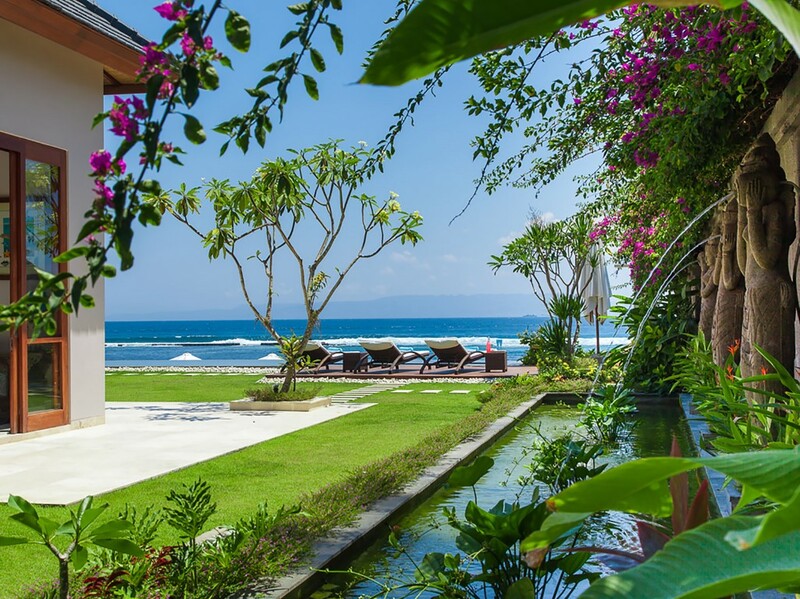 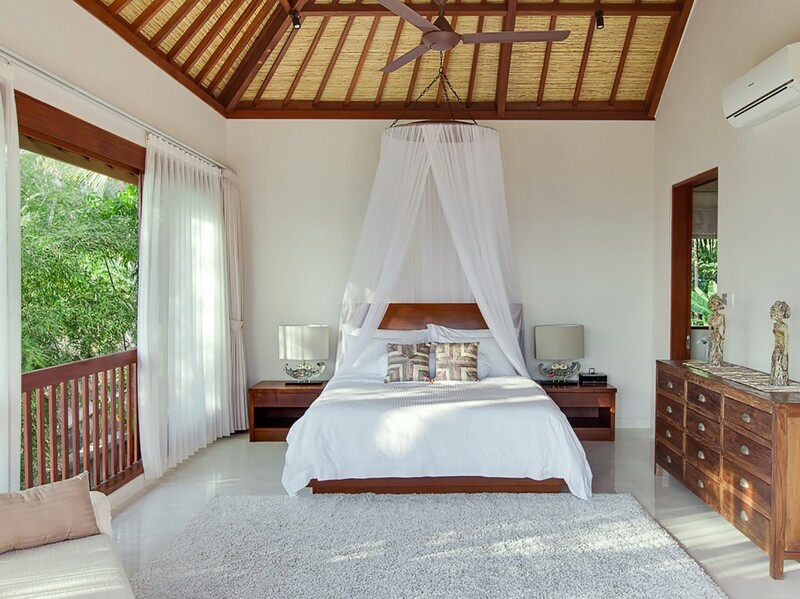 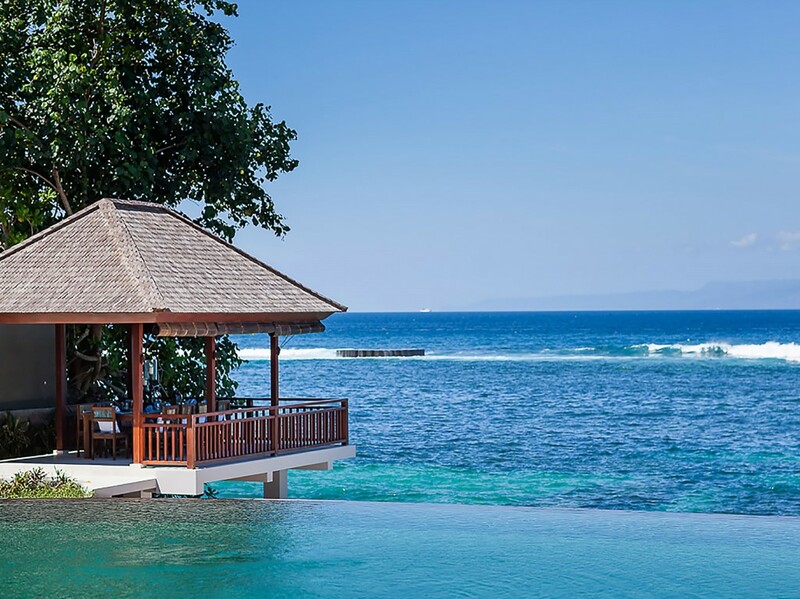 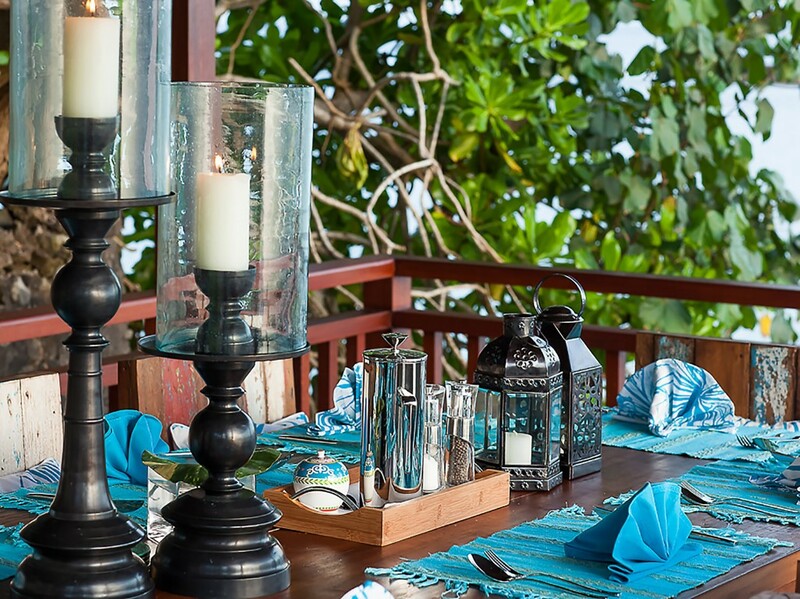 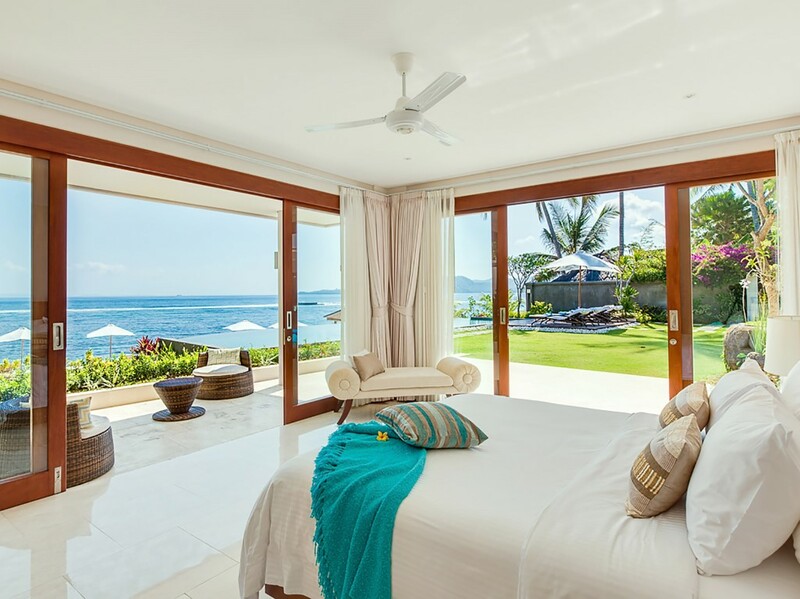 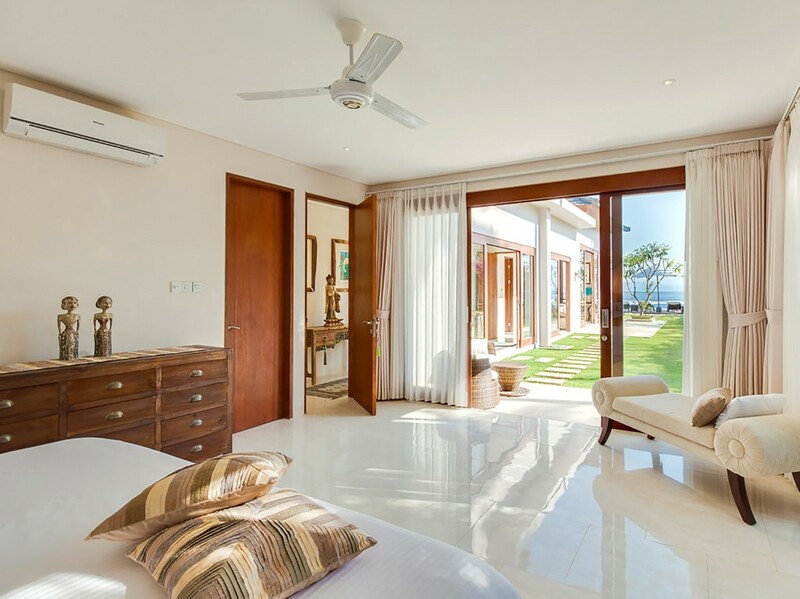 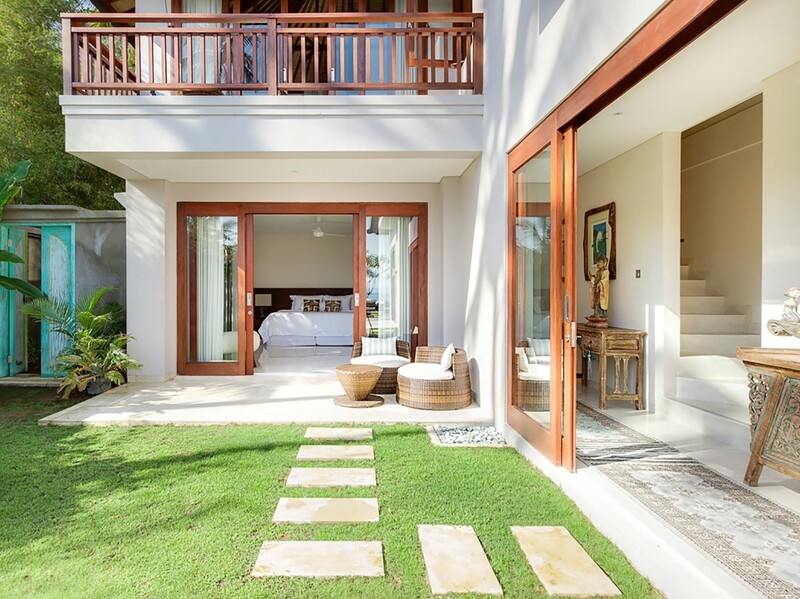 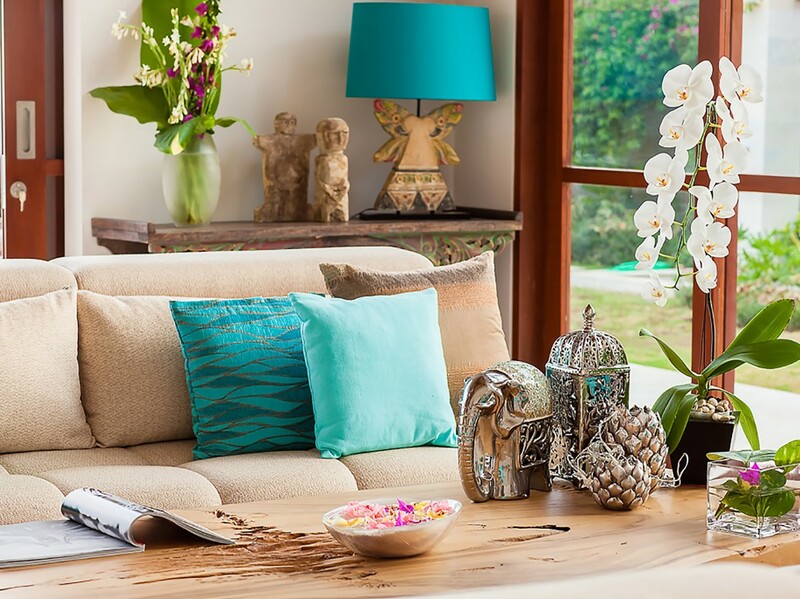 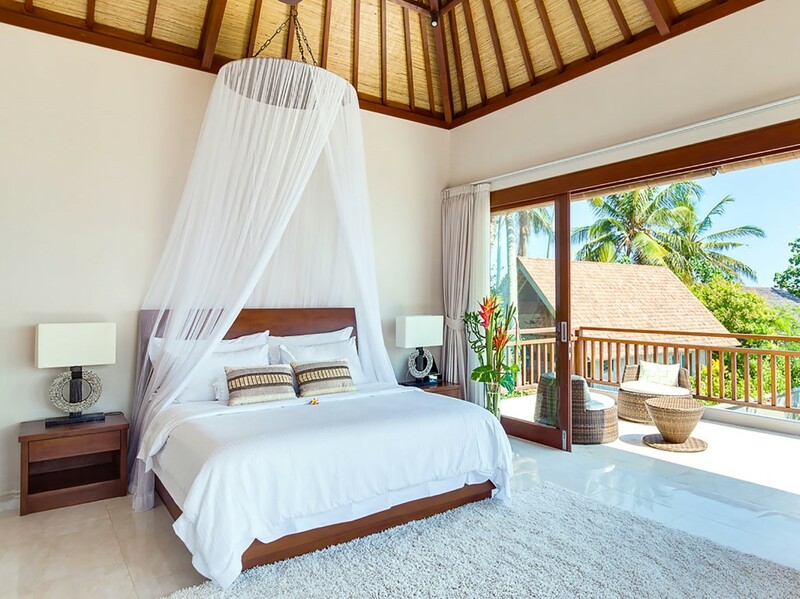 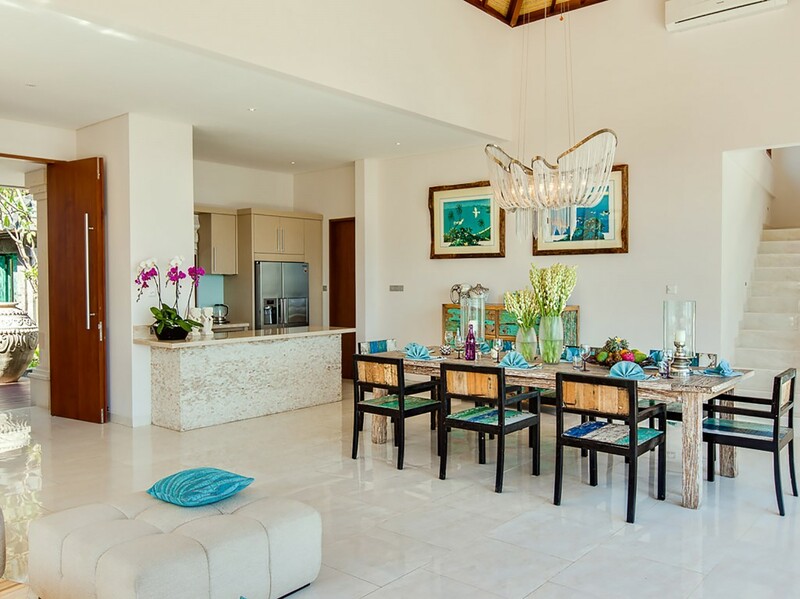 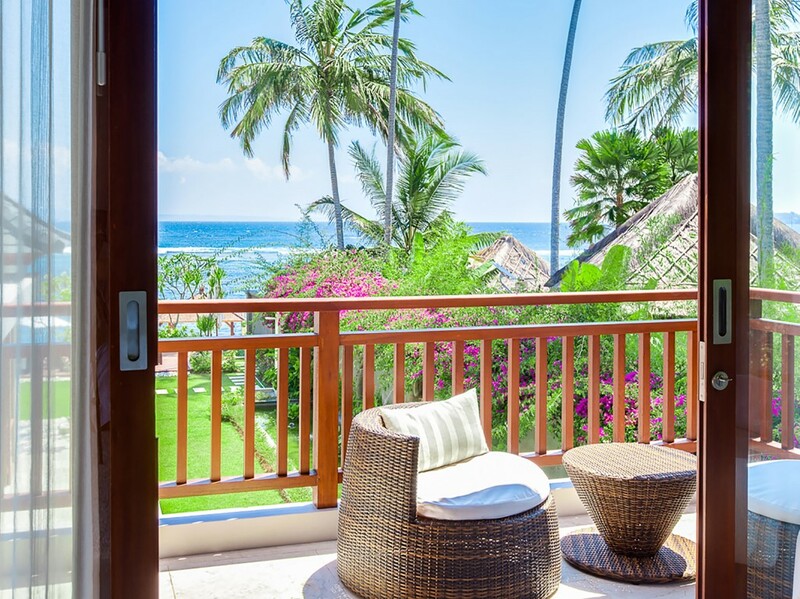 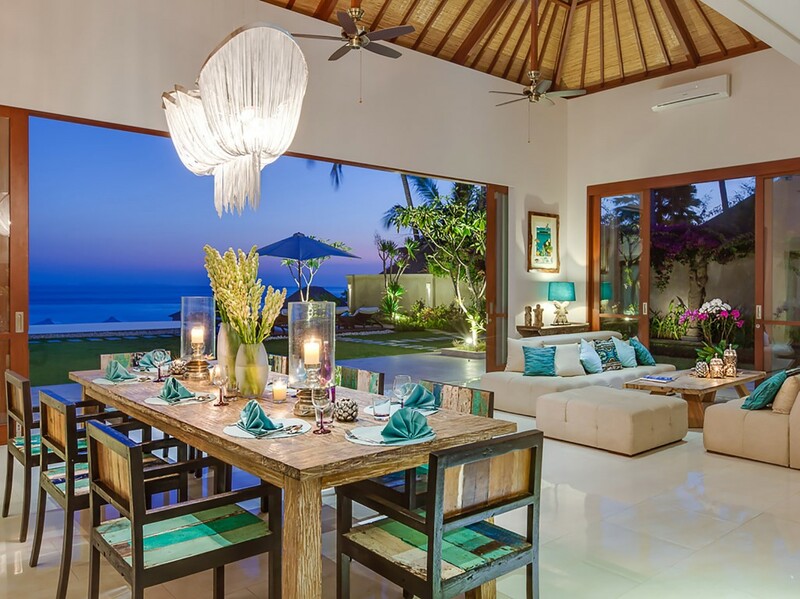 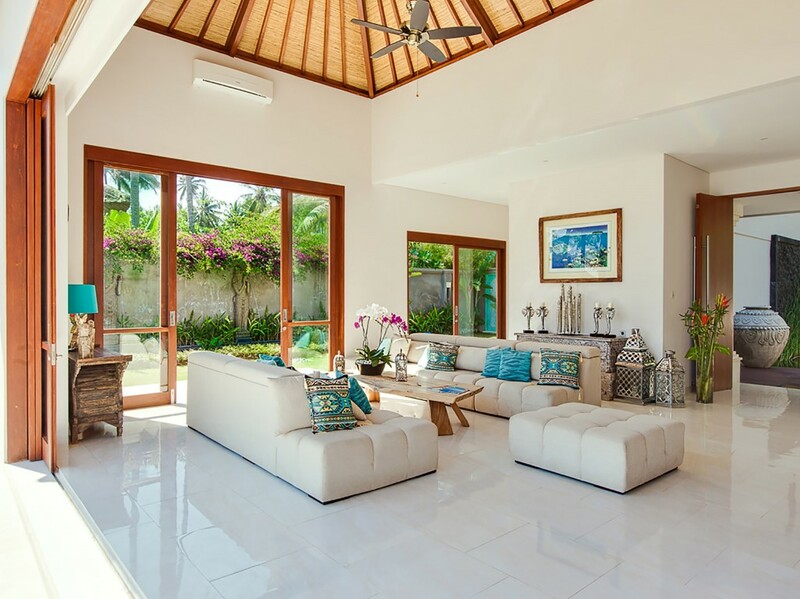 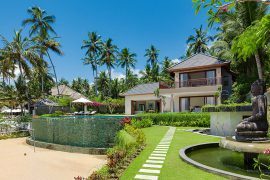 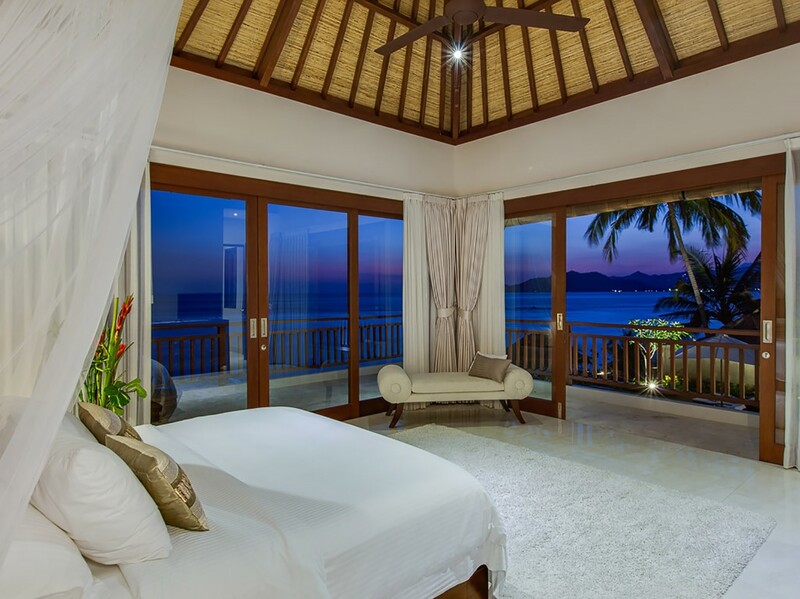 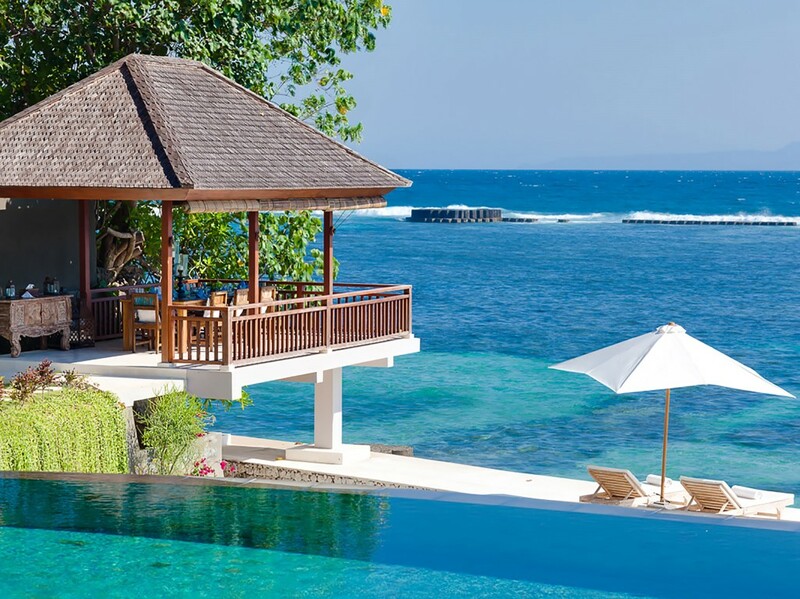 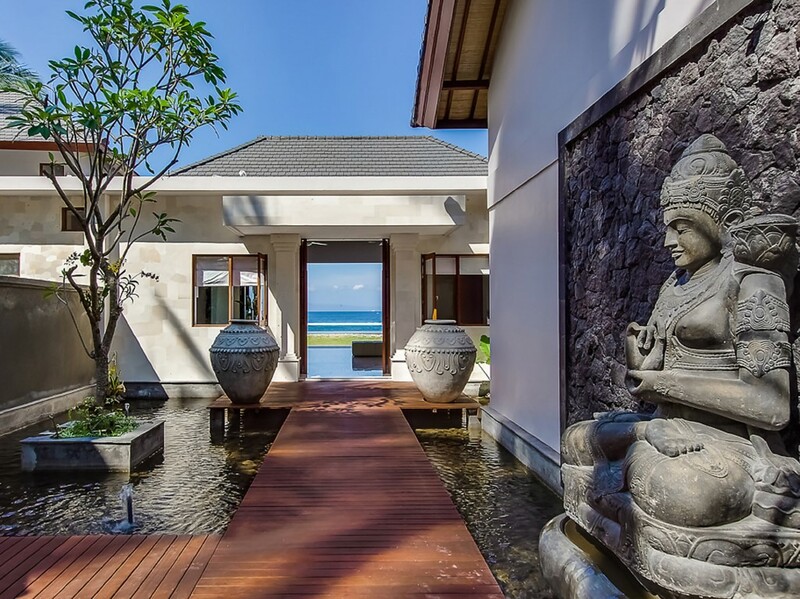 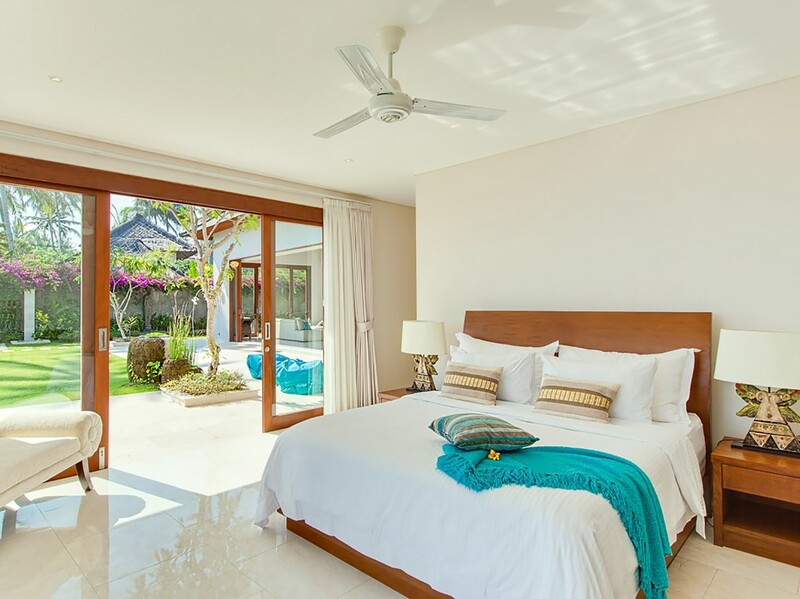 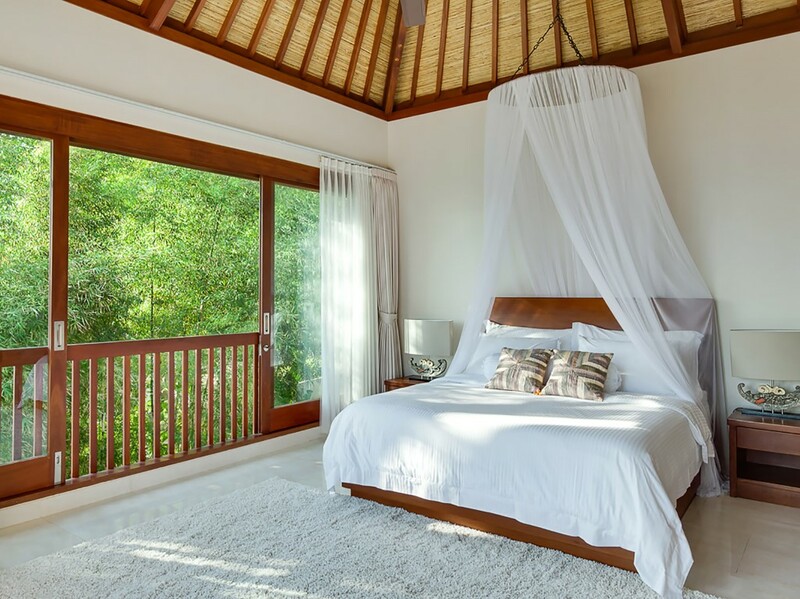 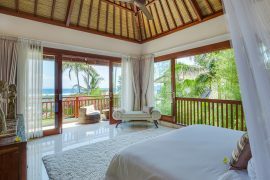 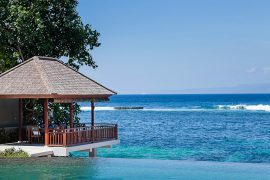 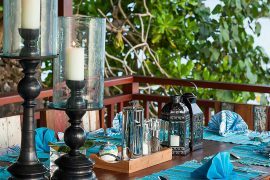 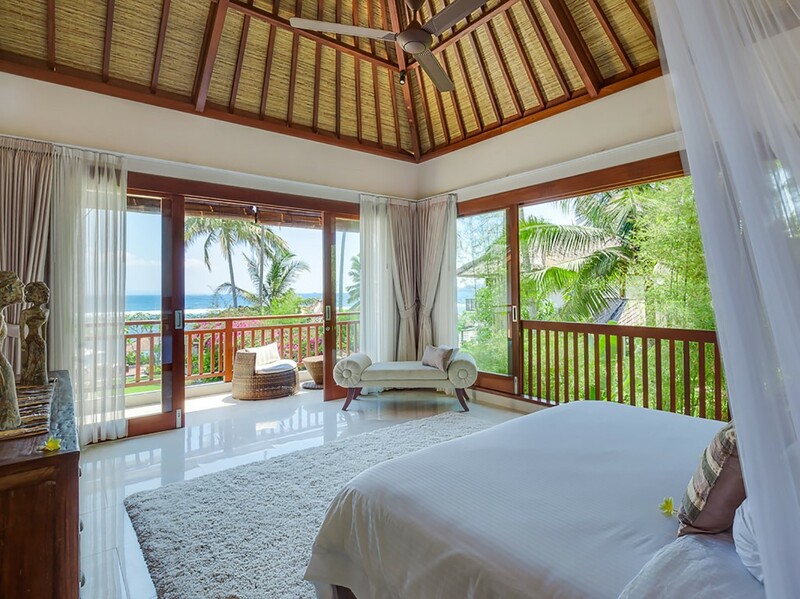 Tirta Nila comprises three conjoined pavilions housing four bedrooms over two levels. 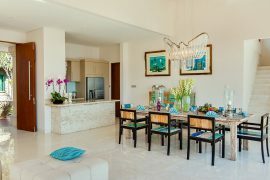 The main pavilion consists of a living/dining room, media room and two kitchens. 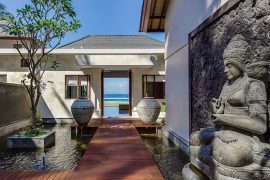 A well-manicured lawn extends to the infinity pool and sundeck, while stepping stones lead to an open-air dining pavilion on the water's edge, a man-made beach with a relaxation pavilion, and a sea-front terrace with steps leading down into the water. 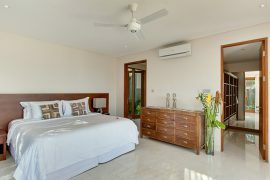 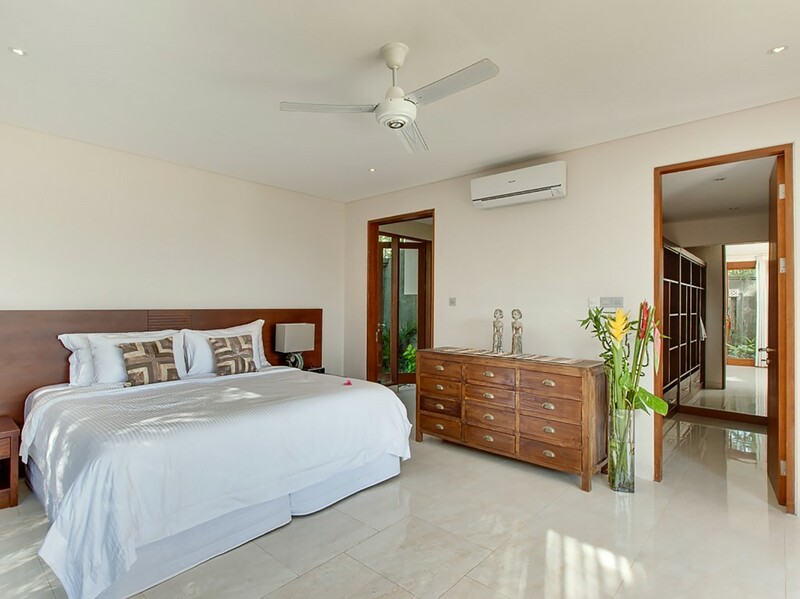 The two master bedrooms are located adjacent to the living room, one on the ground floor and one upstairs, with the two remaining bedrooms set to the back of the property; all have sea views. 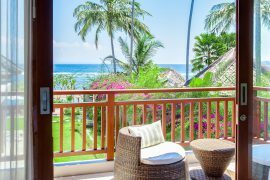 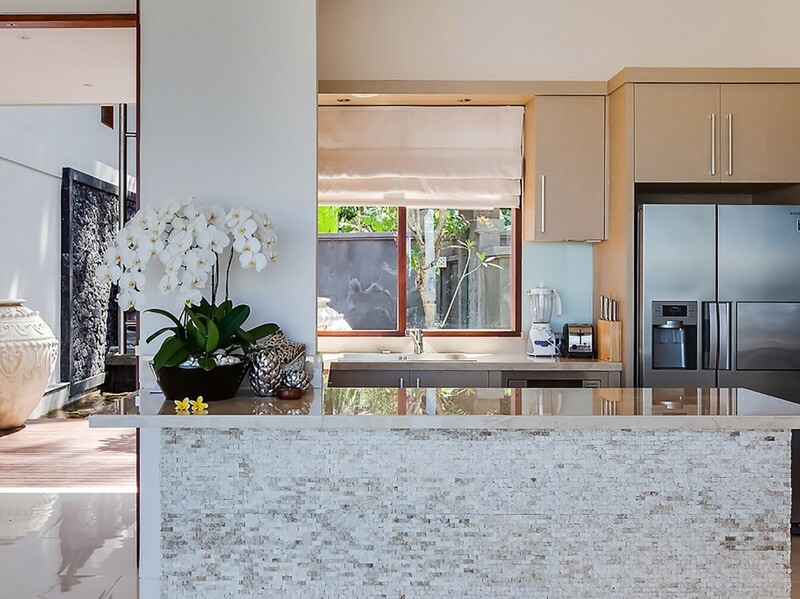 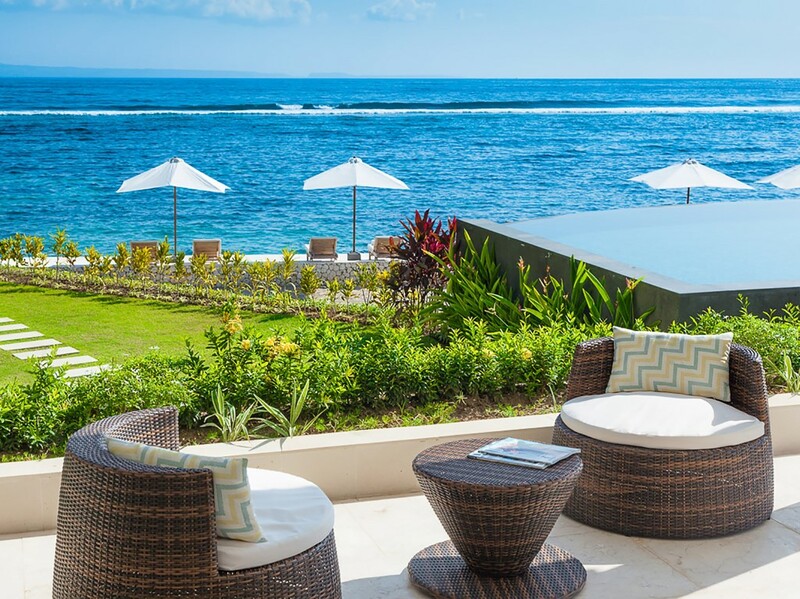 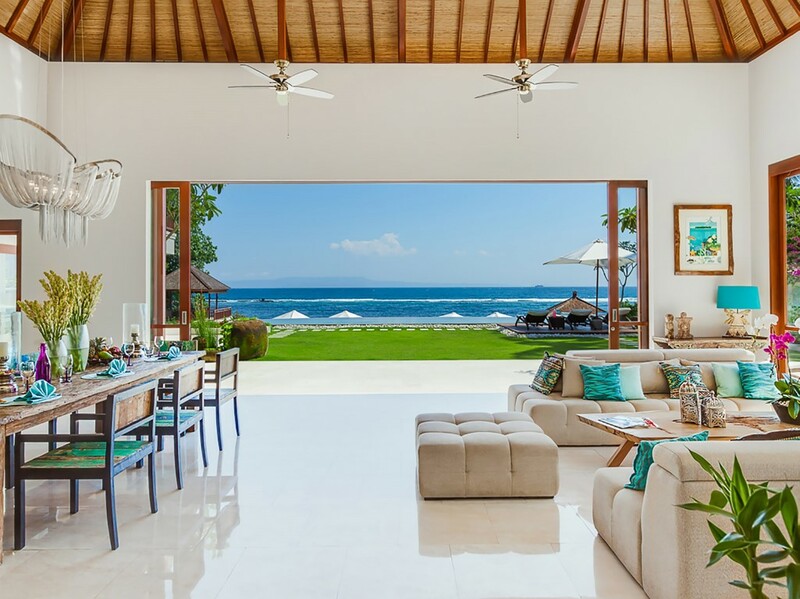 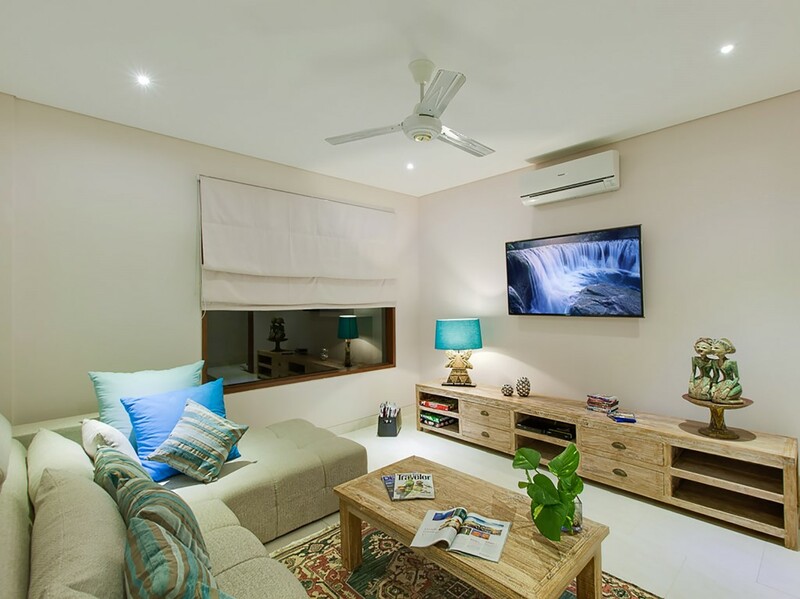 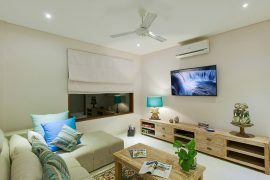 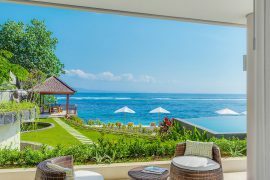 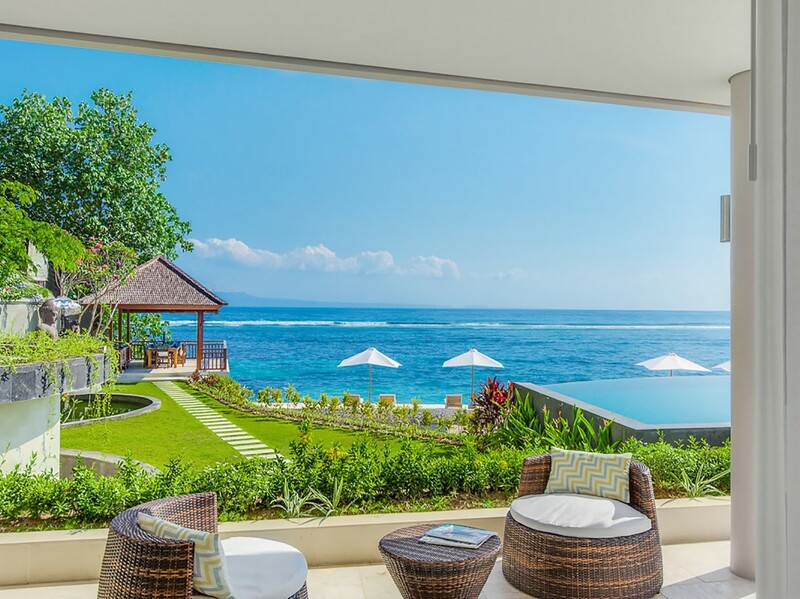 Design with two living area consist of one living area with possibility to close and open the door with built AC and the other outdoor living area facing the pool with spectacular ocean view. 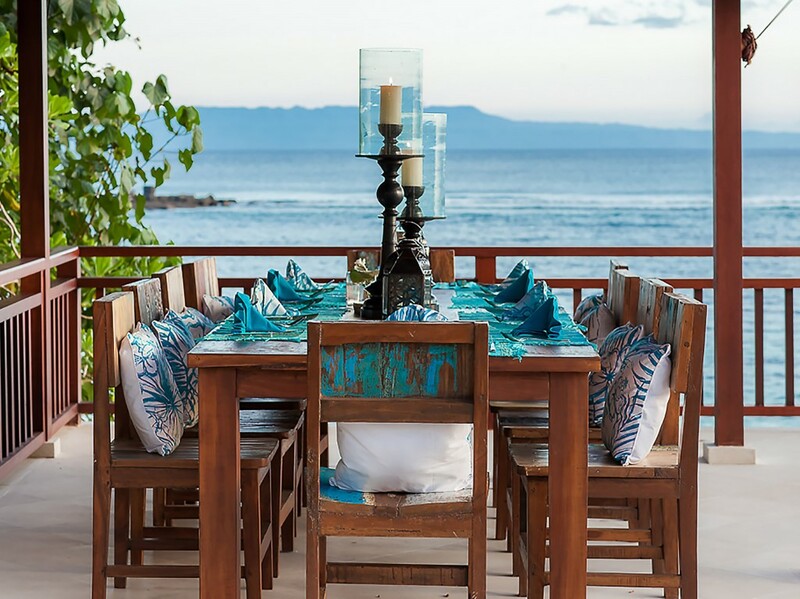 All table completed with 10 dining chair. 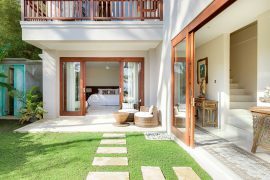 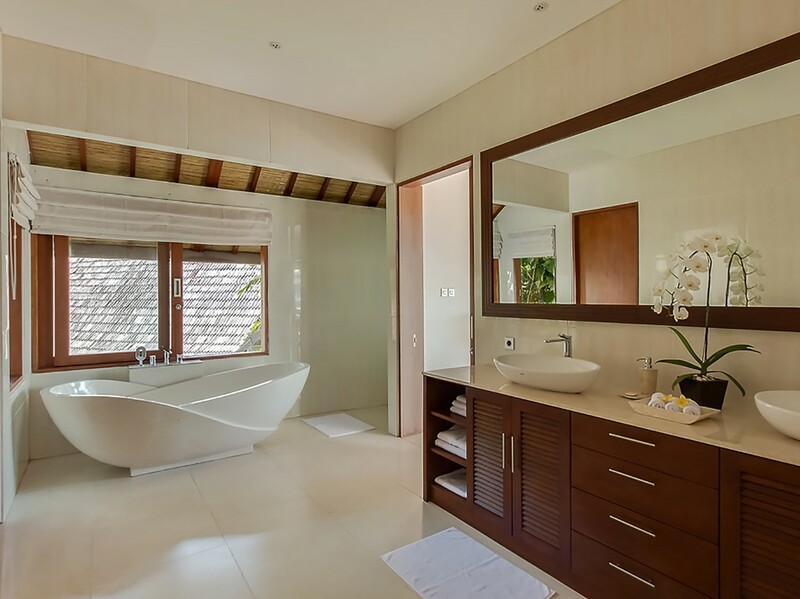 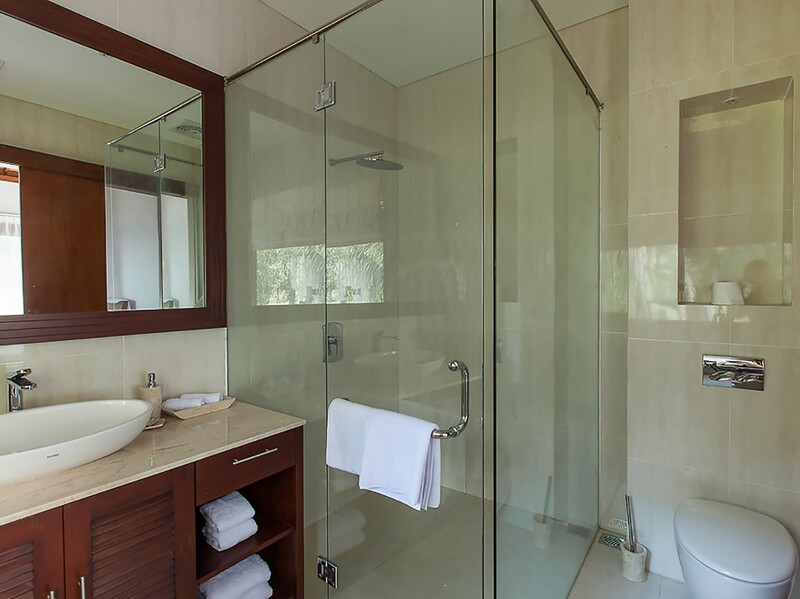 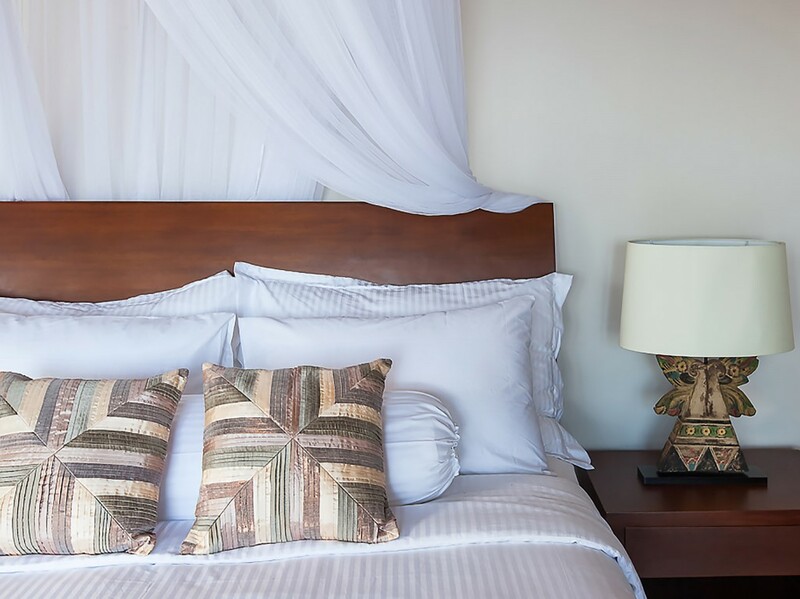 In additional the luxurious four bedrooms have its own character and charm such en suited bathrooms, outdoor showers, walk in wardrobe and yet the touch and feeling of high quality linen for your total comfort. 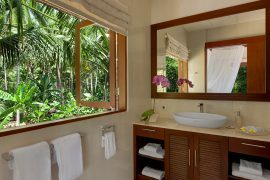 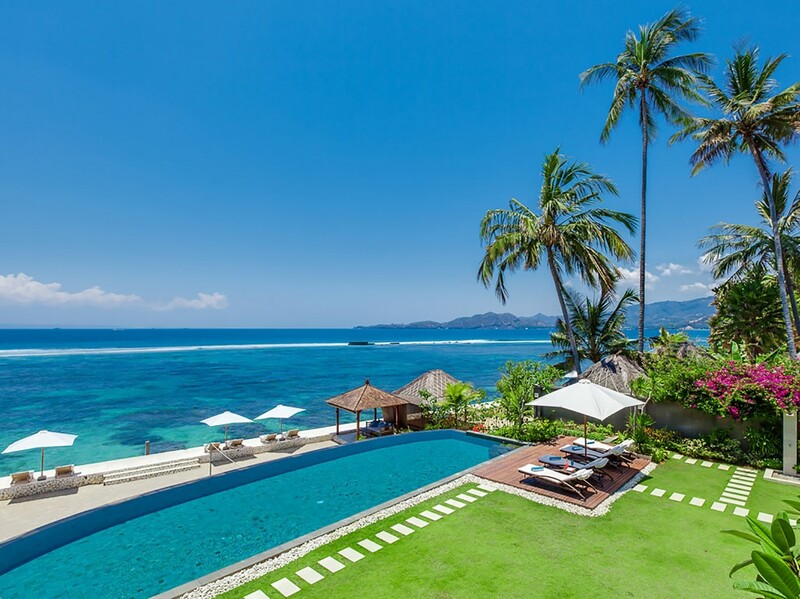 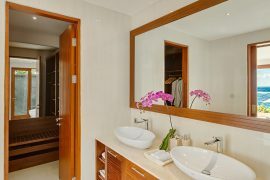 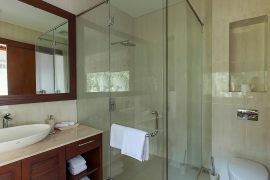 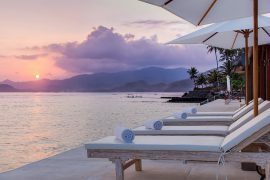 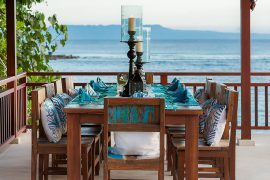 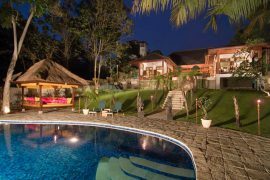 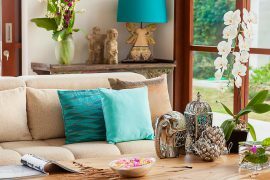 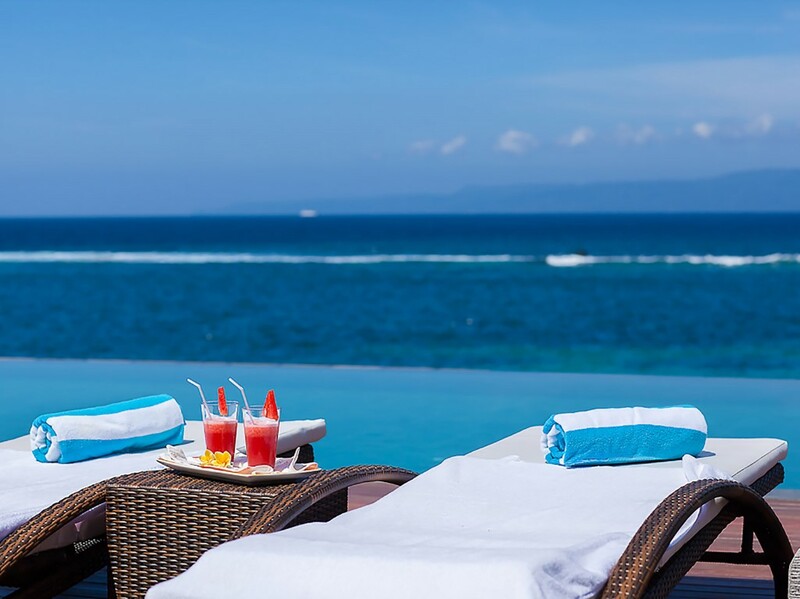 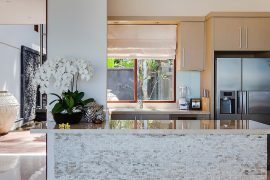 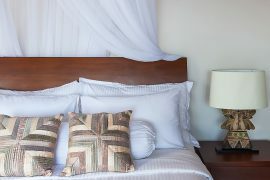 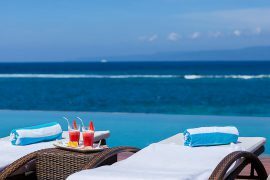 For its luxury and outmost standard service our team consist of villa manager, cook and butler, daily housekeeping, pool attendant, gardener, nightly security and private chauffer ( on request ) we will ensure that your holiday with us will stay as smooth as possible and perhaps once you stay in Villa Tirta Nila you never want to stay anywhere else. 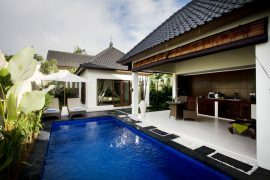 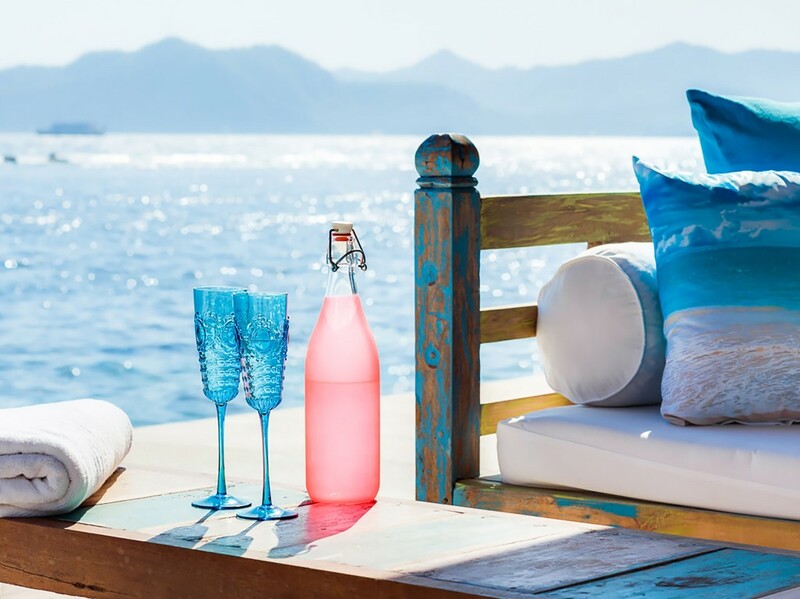 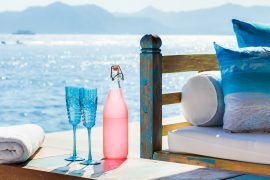 We are looking forward to welcome you in our villa.